BlackBerry Pearl 3G Not Coming To T-Mobile?!? We've all been patiently waiting for US carriers to make some announcement as to whom among them is going to be launching the BlackBerry Pearl 3G. All the top Canadian carriers have announced it, yet US carriers are holding the information back. 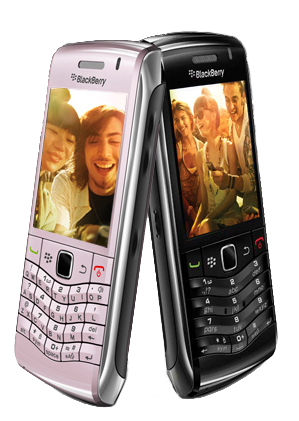 One rumor being heard for a while now is that T-Mobile has been noted as passing on the BlackBerry Pearl 3G. I believe Kevin even made reference to that notion in the last CrackBerry podcast (and he hoped it wasn't true!). However, other than them passing on it we've heard of no explanation as to why really. The only thing thought is that a newer device was to be headed their way. Ronen over at BerryReview, posted some information today that brings that information once again to the forefront. Mentioning that the passing of the BlackBerry Pearl 3G could be because of a new BlackBerry Curve release that is up and coming. While the thought of a 3G Curve is great, we've already seen that the BlackBerry Pearl 3G is equipped to handle the 1700 AWS 3G that T-Mobile (and WIND) offer. The original Pearl series was a great seller for T-Mobile, to neglect the newest iteration seems rather foolish. If it turns out to be true, that rumored 3G BlackBerry Curve better be one heck of a device to sway those Suretype fans out there. Fingers are crossed that T-Mo announces the Pearl 3G still, and soon!